We know it has arrived, we can feel it in the air! Everywhere you look there are Pancake Breakfast announcements lining the Calgary streets. We can hear our friendly radio announcers filling the airwaves with concert listings and event locations. Toddlers, teens and adults alike anticipate the thrill of the rides and treats. And of course, corporate events fill our calendars, as we consider our best Stampede outfit to showcase this year on the grounds. “The Greatest Outdoor Show on Earth’ is taking over Calgary on July 8-17, 2016…. Are you ready? Come on down to The Massage for Health Clinic! 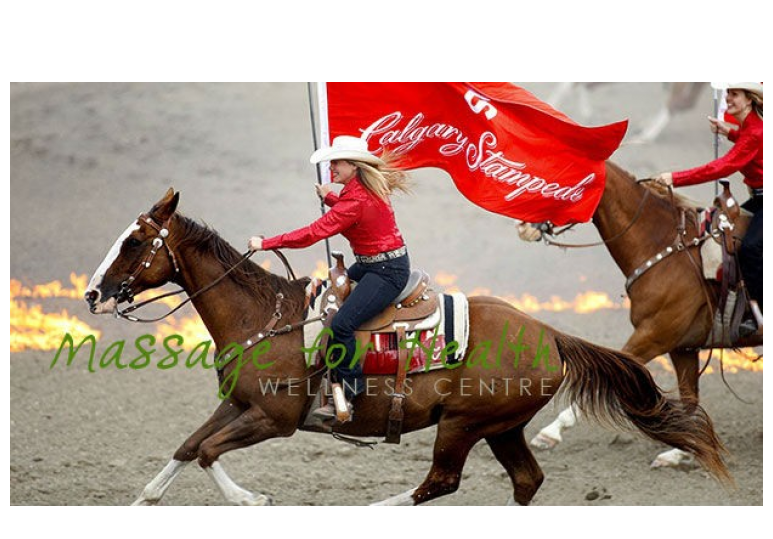 We have great services that can get you ready for Stampede and more! The Massage for Health Clinic in Calgary is located in the Trico Centre located at 11150 Bonaventure Drive just east of Southcentre Mall. How great is this? Great Spa services located in a Recreation Center, across from a Mall!!!! Yehaw!!!!! Do you need a Massage before you hit the streets running to events and concerts? Have you been neglecting your Laser Hair removal needs for that new skirt and boot combo? Is a Reflexology appointment screaming your name to ease the dancing mania? 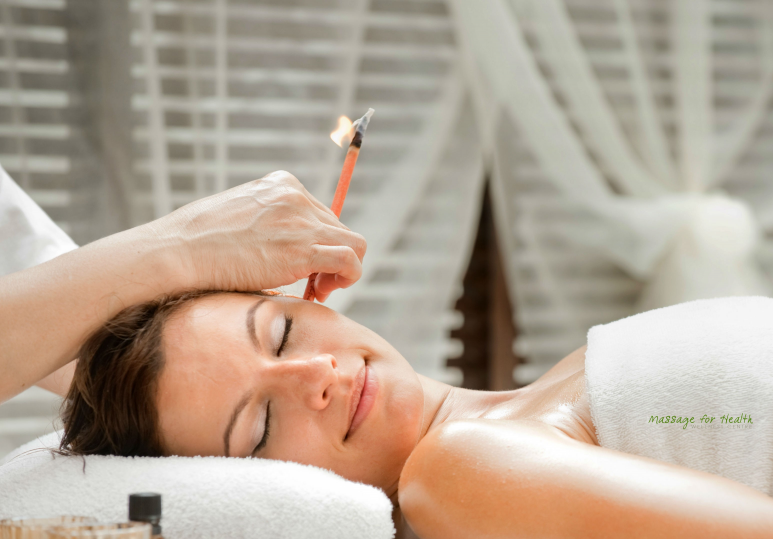 Are you looking for alternative medicine practices like Ear Candling to give room for all the fun? 30 min massage starting at $49! FREE Laser Hair Removal Consultations! $39 for 2 Ear Candles! The Calgary Stampede will be a great time to give our Calgary Community the boost it needs! Supporting our local businesses and events will keep Calgary vibrant and unified! The Massage for Health Clinic is proud to be part of our local Business Community and welcome your patronage and support! 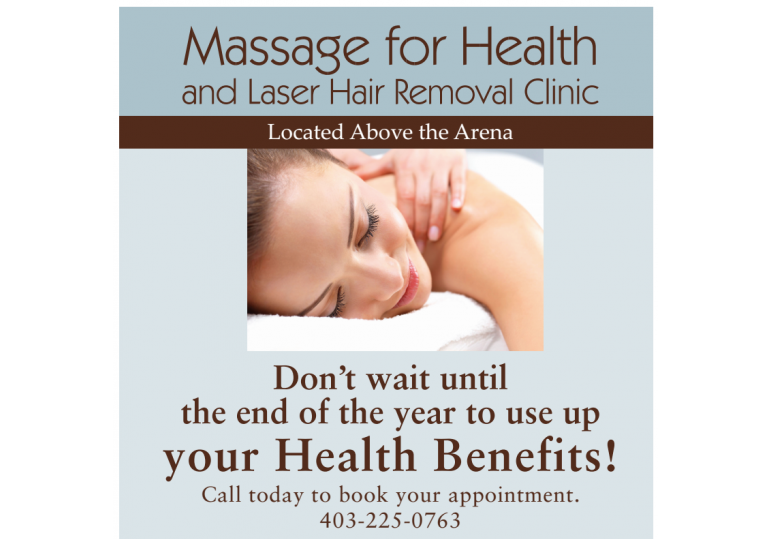 Book your appointment today with one of our registered massage therapists @ 403-225-0763.